Loro Parque is probably one of the finest theme parks you will find in Europe, with lots of animals from different species. The park is situated in the north of Tenerife, in the city of Puerto de la Cruz. Visiting the park is a great idea for families with kids, but adults will enjoy it just as much. There are lots of things to see and do, like exhibitions and shows, so you could opt for a 2 days ticket. This way, you can take your time during the visit and allow time for the children to spend time in the play areas. Our favorite attraction was the Sea Lions Show, which had very lively music and funny moments. 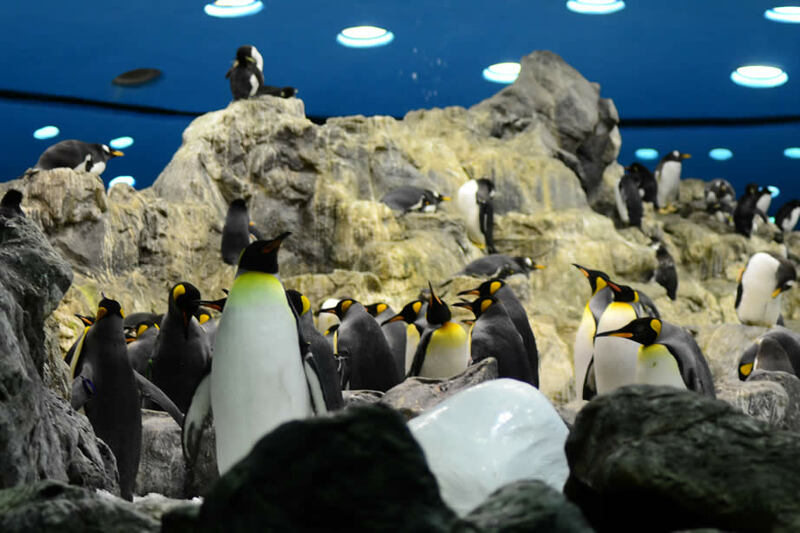 One of the best exhibits in Loro Parque is Planet Penguin, which claimes to be the world's largest penguinarium. It was indeed impressive and you can spend a lot of time watching the peguins without getting bored. Katandra Treetops is another unique attraction to the park, a free flight aviary where you enter and watch the birds up close. As you climb the stairs through the tree you see different species of birds and it's a very special experience to see them flying freely around you. For visitors interested in botanics and plants, there is a exhibition of Orchids, from rare types, that are very hard to see anywhere else. The entire park features vegetation specific to the Canary Islands and also ficus, ivy and palms, which can be seen in the Jungle Ara area, a true oasis inside Loro Park. Kinderlandia is the special place dedicated to kids, where they can explore and have fun while the parents can enjoy a break at the near by bar called Bambu bar. If you want to see all the park and the shows, then you must arrive in the morning, because it will take you several hours to go through everything. If you get tired you can take a break for lunch at one of the restaurants in the park. There are several places where you can eat and the food is good and at reasonable prices. Just take time to walk through the park and enjoy all the attractions and scenery. It's a great day out for people of all ages, because the park is so well put together, with maximum attention to detail and plenty of things to do and see. If you are a resident then you will get a discount for the ticket. Check the park's website for more information. You can also buy Twin Tickets for Loro Parque and Siam Park, the popular water park in the south. If you plan to visit both of the park during your trip you should buy the twin ticket and save some money, since it is cheaper than buying separate tickets. The park is famous for the shows which include a Killer Wale segment, a unique show for Europe. 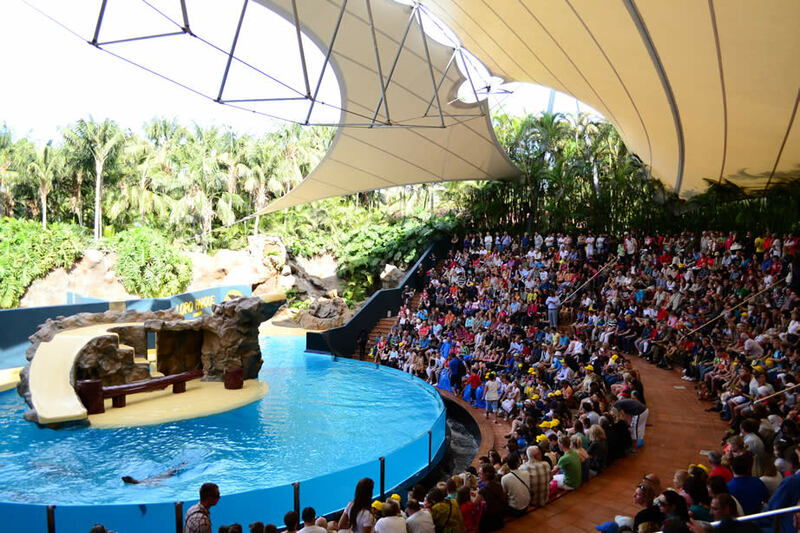 There are 4 shows running in Loro Parque and you must try to see them all! It is very easy to get to if you are staying in the north of the island, in the capital or especially in Puerto de la Cruz. From the South the drive will take you around 1 hour if you are coming by car. From Playa las Americas you can choose the TF-1 highway when you get to the park and when you return you can chose the route on the west side of the island and maybe enjoy the sunset. Loro Parque to Reyes Catolicos: Every 20 mins. Last Train at 18:45h one way. Loro Parque offers a bus service but you will have to make reservations 48 h in advance. Check the timetable on their website for more information.